Electrical power is distribution either three wires or four wires (3 wire for phases and 1 wire for Neutral). Voltage between phase to phase called Line Voltage and voltage between phase and neutral is called Phase Voltage. This forth wire may or may not be distributed in distribution system and same way this neutral may or may not be earthed. Depending of this neutral condition (earthed-not earthed-access-not access) there are various type of earthing systems. The neutral may be directly connected to earth or connected through a resistor or a reactor. This system is called Directly earthed or Earthed system. When a connection has not been made between the neutral point and earth, we say that the neutral is unearthed. In a network, the earthing system plays a very important role. When an insulation fault occurs or a phase is accidentally earthed, the values taken by the fault currents, the touch voltages and over voltages are closely linked to the type of neutral earthing connection. A directly earthed neutral strongly limits over voltages but it causes very high fault currents, here as an unearthed neutral limits fault currents to very low values but encourages the occurrence of high over voltages. In any installation, service continuity in the event of an insulation fault is also directly related to the earthing system. An unearthed neutral permits service continuity during an insulation fault. Contrary to this, a directly earthed neutral, or low impedance-earthed neutral, causes tripping as soon as the first insulation fault occurs. The choice of earthing system in both low voltage and medium voltage networks depends on the type of installation as well as the type of network. It is also influenced by the type of loads and service continuity required. The Main objectives of an earthing system are Provide an alternative path for the fault current to flow so that it will not endanger the user, ensure that all exposed conductive parts do not reach a dangerous potential, maintain the voltage at any part of an electrical system at a known value and prevent over current or excessive voltage on the appliances or equipment. Different earthing systems are capable of carrying different amounts of over current. Since the amount of over current produced in different types of installation differs from each other, required type of earthing will also differ according to the type of installation. so in order to ensure that the installation goes with the existing earthing system or else to do any modification accordingly, we need to have a proper idea of the present earthing system. It would enhance the safety as well as the reliability. First Letter I = the neutral is unearthed at Transformer or Generator side. It is compulsory to install an over voltage limiter between the MV/LV transformer neutral point and earth. If the neutral is not accessible, the overvoltage limiter is installed between a phase and earth. It runs off external over voltages, transmitted by the transformer, to the earth and protects the low voltage network from a voltage increase due to flashover between the transformer’s medium voltage and low voltage windings. System providing the best service continuity during use. When an insulation fault occurs, the short-circuit current is very low. Higher operational safety only a capacitive current flows, which is caused by the system leakage capacitance if an earth fault occurs. Better accident prevention the fault current is limited by the body impedance, earthing resistance and the high impedance of the earth fault loop. Requires presence of maintenance personnel to monitor and locate the first fault during use. Requires a good level of network insulation (High leakage current must be supplied by insulating transformers). Overvoltage limiters must be installed. Requires all the installation’s exposed conductive parts to be Same Voltage level. If this is not possible RCDs must be installed. Locating faults is difficult in widespread networks. 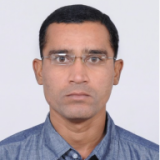 When an insulation fault with reference to the earth occurs, the voltage of the two healthy phases in relation to the earth take on the value of the phase-to-phase voltage So when Select Size of equipments it is need to higher insulation level of the Equipments. The risk of high internal over voltages making it advisable to reinforce the equipment insulation. The compulsory insulation monitoring, with visual and audible indication of the first fault if tripping is not triggered until the second fault occurs. Protection against direct and indirect contact is not guaranteed. 10. Short-circuit and earth fault currents may cause fires and destroy parts of the plant. First letter T = the neutral is directly earthed. Second letter T = the exposed conductive parts of the loads are interconnected and earthed. The transformer neutral is earthed. The frames of the electrical loads are also connected to an earth connection. The big advantage of the TT earthing system is the fact that it is clear of high and low frequency noises that come through the neutral wire from various electrical equipment connected to it. Does not have the risk of a broken neutral. The simplest system to design, implement, monitor and use. Easily find location of faults. Upon occurrence of an insulation fault, the short-circuit current is small. Reduces the risk of over voltages occurring. Authorizes the use of equipment with a normal phase to earth insulating level. High demand of E/F relays. Individual earth system needs higher investment. Switching upon occurrence of the first insulation fault. Use of an RCD on each outgoing feeder to obtain total selectivity. 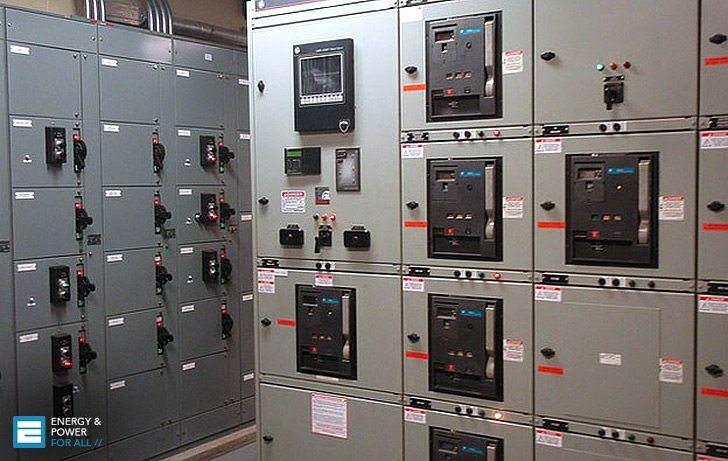 Special measures must be taken for the loads or parts of the installation causing high leakage currents during normal operation in order to avoid spurious tripping (feed the loads by insulating transformers or use high threshold RCDs, compatible with the exposed conductive part earth resistance). Very high fault currents leading to maximum damage and disturbance in telecommunication networks. The risk for personnel is high while the fault lasts; the touch voltages which develop being high. Requires the use of differential protection devices so that the fault clearance time is not long. These systems are costly. First Letter T = the neutral is directly earthed at Transformer. Second Letter N = the Frames of Electrical loads are connected to the neutral Conductor. In TNC System (the third letter C = combined neutral and narth conductor), the neutral and Earth conductors are combined in a single conductor and earthed at source end. This combined ceutral-earth wire is than distributed to load side. In this system earthing connections must be evenly placed along the length of the neutral-(earth) conductor to avoid potential rises in the exposed conductive parts at Load Side if a fault occurs. This system must not be used for copper cross-sections of less than 10 mm² and aluminum cross-sections of less than 16 mm², as well as downstream of a TNS system (As per IEC 60364-5). Low earth fault loop impedance. More than one earth fault loops. No earth wire required; allow of multi-point earth. Neutral never have float voltage. Impedance of earth fault loop could be predicted. The TNC system may be less costly upon installation (elimination of one switchgear pole and one conductor). If not multi-point earthed, and the neutral earth broken, the exposed metallic part may have float voltage. intervene the operation of earth fault protective device. current operated type device is not appropriated, voltage detected type could be employed. Third and multiples of third harmonics circulate in the protective conductor (TNC system). The fire risk is higher and, moreover, it cannot be used in places presenting a fire risk (TNC system). In TN-S system (the third letter S = Separate Neutral and Earth Conductor) neutral of the source of energy is connected with earth at one point only, generally near to the Source. The neutral and Earth conductors are separately distributed to load. This system must not be used upstream of a TNC system. Use of over current protective devices to ensure protection against indirect contact. Earth fault protection device operates faster. Allow multi point earth, better earthing continuity; minimize the use of earth fault relay because of low earth fault loop impedance. Switching on occurrence of the first insulation fault. Requires earthing connections to be evenly placed in the installation so that the protective conductor remains at the same potential as the earth. A tripping check on occurrence of the insulation fault should be carried out, if possible, when the network is being designed using calculations, and must be performed during commissioning using measurements; this check is the only guarantee that the system operates both on commissioning and during operation, as well as after any kind of work on the network (modification, extension). Passage of the protective conductor in the same trunkings as the live conductors of the corresponding circuits. Requires extra equal potential bonding. On occurrence of an insulation fault, the short-circuit current is high and may cause damage to equipment or electromagnetic disturbance. The Neutral and Earth wires are combined within the supply cable. Typically this will be a concentric cable, with the live as the central core, and a ring of wires around this for the combined neutral and earth. At the property, the Neutral and Earth are separated, with the earth terminal usually being on the side of the cutout. Inside the cutout, the live and neutral are linked. Throughout the supply network, the combined earth/neutral conductor is connected to the ground in multiple places, either buried underground or at the poles for overhead supplies. This multiple earthing is why a TNCS supply is often called PME (Protective Multiple Earthing). Cost for core cable is cheaper than a 3 core. .As the outer sheath is usually plastic, there are no problems with corrosion. When the combined earth/neutral conductor is broken. This results in a voltage appearing on the exposed metalwork in the customer’s property, which can be a shock risk. This happens as the earth and neutral are connected in the cutout, and there is no direct connection to the ground other than in the supply network. In the event of a fault, the current flowing in the customer’s earthing conductors can be much greater that for a TNS system. It is also possible to get unusual circulating earth currents between properties, particularly where some properties have metal water pipes and others have plastic. REFERENCE: Protection of Electrical Network – Christophe Prévé. TNCS and TNC diagrams aren’t correct. Sketches above of TN-S and TN-C-S are the same?? 4 pole circuit breaker is what system required to be use? We are recently planning to install 3 phase current in our house and replace the existing single phase.The electcity guys came and told we need double earthing for 3 phase.But we already have an earthing for our house.Is it needed to go for another earthing?